A group of community leaders began meeting in 2009 to discuss the need for increased access to dental care for uninsured individuals with acute or urgent dental conditions. Many of these individuals sought relief of dental pain and infection at local hospital emergency departments. The goal was to replicate the successful Dentists’ Partnership program in Calhoun County/Greater Battle Creek Area. With the help of Muskegon Community Health Project’s (MCHP) Community Needs Health Assessment, this group estimated that dental care is in the top 10 health needs in Muskegon County. Over 13,000 Muskegon County residents were uninsured or underinsured, low-income residents. They have the most unmet needs and cannot pay for dental treatment. Muskegon County reports 1,400 emergency department visits per year for dental pain and infection. As a group, we believed that one solution could not address the volume of need in our community; that we could only hope to provide comprehensive access when all those in a position to help were involved and committed. So, we worked to join together our community dentists, community funders, community hospitals, Muskegon Community Health Project, Muskegon County Health Department, Access Health and our FQHCs. Through the partnership of committed organizations and individuals, we began to provide an avenue for individuals to receive dental care. 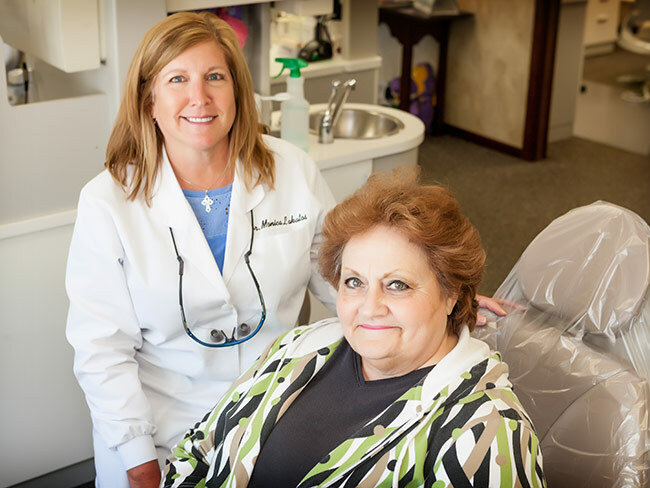 In 2010, the leaders began a three-year pilot program to engage community dentists and organizations that would benefit from volunteer hours. During 2010-11, 10 local dentists treated 50 patients who donated over 2,500 hours of community service. A third year of the dental pilot included 10 dentists offering emergency dental services to the same uninsured, low-income population. The program officially opened to the public in July of 2013. Volunteer for Dental provides access to dental care for underserved adults in exchange for community service and oral health education. We believe all people should have access to dental treatment and oral health education to lead healthy and productive lives while decreasing the use of hospital services for urgent dental care and pain management. Provide dental services to improve the quality of life for those without means. Educate and encourage patients to maintain their oral health and prevent disease. Offer a dental information center to answers questions for community members. Reduce volume of need over time by improving the frequency of good oral health behaviors. Introduce volunteerism to those who have not experienced it before with easy access. Provide a source of additional volunteer support to community agencies. Value each individual’s contribution to the program. Work with local referral sources to develop a mechanism for tracking. The foundation of Volunteer for Dental Care is a commitment among community dentists to join together to serve individuals with the gravest and most urgent needs, regardless of their ability to pay. A key component of Volunteer for Dental is that the load is shared equitably among those participating, so that no one dentist bears an undue burden. In addition, support structures are established for the dentists who are serving the uninsured. We believe in the value of each individual, regardless of financial worth. Those who receive help through Volunteer for Dental have the ability to make a valuable contribution to their community. This is a win-win program where the community wins due to the volunteer hours given in the community, and the client wins because they increase their self-worth, their self-esteem, receive dental work and their health improves. Attending an oral health education class and volunteering an initial four hours are requirements to be enrolled in the program. In order to ensure that the volume of need decreases over time, we believe it is important to increase the frequency and quality of oral health education among those we serve. Accordingly, every recipient who receives dental treatment through Volunteer for Dental completes an oral health education class, receives one-on-one training with a dental hygienist, and is given toothpaste, a toothbrush and floss. The patient is coached in finding the right volunteer opportunity for them and why the emergency department is not a solution to a dental problem – there are no dental professionals at the emergency department to solve their problem, and they will only receive antibiotics and pain relief. Antibiotics themselves will take effect in 72 hours and afford them a month to get their volunteer time in for treatment. In 2016, the total visits reported from the Muskegon County emergency department for tooth issues decreased from 2455 to 2103 including the uninsured and Medicaid cases. The dental cost to Mercy Health also decreased from $467,400 to $374,725.